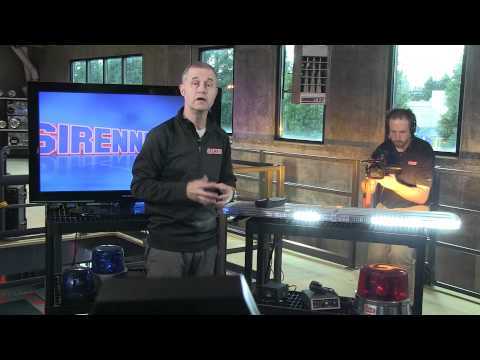 Most of the individual light bar products mentioned in this Whelen LED light bar review are specifically made to fit a wide range of American-made cars, trucks and SUVs as well as heavy equipment. 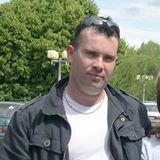 Their products are not universally-sized, generic products, so you can expect that their fit and utility are outstanding for the vehicle for which they were designed. 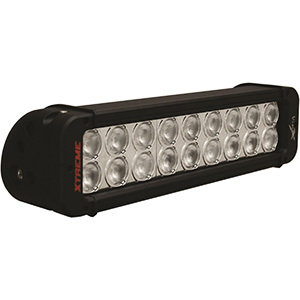 Whelen’s light bar market segments are significantly more demanding than those of other manufacturers whose main requirement is simply illumination of roads, trails and work sites. Like such manufacturers, Whelen’s products are exposed to extreme weather and operating conditions, but they must also grab the attention of drivers and pedestrians in oftentimes hazardous circumstances. 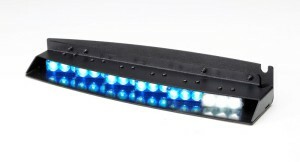 Inner Edge® This is an upper front facing light bar with a ¾ inch profile. Comes in six, ten or twelve light head combinations with take-downs. Supplied with interchangeable light head lenses. Outer Edge® These external light heads may be mounted in horizontal, vertical or diagonal positions on the vehicle body or windows. Each has programmable flash patterns and extremely high moisture and vibration resistance. Edge Ultra Freedom® Rota-Beam These are designed to mimic long dwell times and sweeps of halogen rotating lights. Features ten flash patterns with varying flash rates and 360 degrees of warning light. Edge Ultra Freedom WeCan® Super-LED® This is a roof mount strobe bar with 12 warning configurations available on the fly. Any color, beam angle and take-down configuration is available. Legacy® This roof mount bar features a 1-5/8 inch profile, linear reflector optics, forward and rear projection corner modules and 360 degree lighting. Its protective aluminum shell also cools circuitry. It auto-dims at night. Legacy Solo™ This is a beefier version of the Legacy light bar with extended corner modules and independent upper/lower light head control. 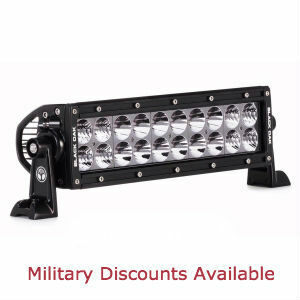 Liberty™ II This is a 2.8″ profile light bar built for rough operating conditions. Advanced thermal design cools LEDs even with a long dwell time. Lenses stand up to sun, salt and road chemicals. Justice WeCan™ Series This has independent flash patterns, individual light head phase settings and optional flashing take-downs and alley lights. Justice Competitor™ Series The JC series has separate control over front, rear and all modules together. Dozens of Whelen’s Scan-Lock™ flash patterns are available. The tow version includes work, brake, turn and tail lights. Century™ Elite Multiple color light heads are available within a clear polycarbonate dome. Low current switching with Scan-Lock patterns and pattern override are standard. 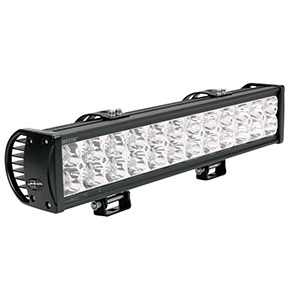 Towman’s™ Series This is an extra heavy-duty light bar designed for tow and recovery operators with rear halogen work lights, LED corner modules, and brake/tail/turn signals. 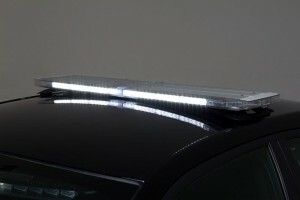 NFPA Light Bars These light bars feature Super-LED™ ultra-wide, ultra-bright LED technology, which provides the brightest impact with the lowest current draw. Advanced LED drivers handle input voltages of 10 to 16 VDC. Each pair of lights has 21 flash patterns. 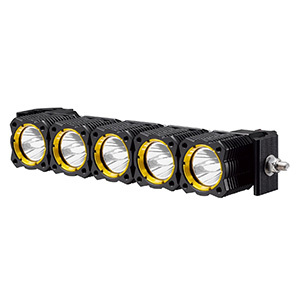 4500 Plus Super-LED® Build-A-Bar™ Snap-in light head brackets and individual module lenses let you build your own light bar configuration from nine base models. Super low profiles that are almost undetectable and increase inside visibility while reducing driver and passenger flashback. Modular light bar design for flexibility in size and light configuration. Light bars are made of multiple “light heads”, each of which can be switched and programmed independently. Interchangeable lenses for different base color patterns. Light heads in blue, red, amber, white, green or purple. Color and flash patterns configurable via an external ECM and PC software. Ability to alternate or combine flash patterns within a single bar. 100 percent solid-state rotatable beams without moving parts. Heavy duty powder-coated extruded aluminum housings. 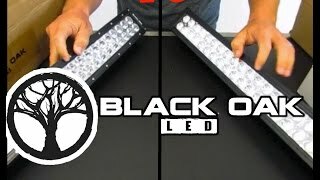 A Whelen LED light bar review is rarely less than 5 stars. Even many 3 and 4-star reviews contain no complaints. Buyers are impressed with the quality of the construction, operation and especially the brightness. DOT and tow truck operators say the brightness of the Whelen light bars clears traffic ahead better than any previous light bar they have used. Tow operators appreciate the ability to switch off forward lights at accident or DWI scenes so they do not back light police at the scene. A few have found the color and flash pattern programming a small hurdle to overcome. Some thought that HID take-downs are better than LEDs in some situations. Everyone seems pleased with the reasonable pricing of Whelen light bars. Whelen Engineering, headquartered in Chester, CT has been making top of the line lighting products for aviation, automotive and emergency responder applications for over 50 years. All their products are designed, engineered and built within the USA in Chester or their second facility in New Hampshire. 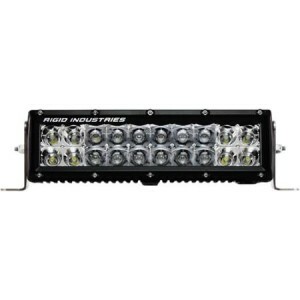 They provide an almost staggering array of LED light bar product lines for any lighting need for law enforcement, fire and rescue, railroads, tow trucks and other emergency vehicles. Their exceptionally flexible, reliable, affordable and innovative LED light bars should suit any alert and illumination application existing.